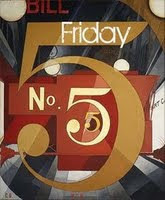 It's friday and that means it's time for friday five! To participate add your answers to these questions on your blog. A pair of Brown BORN sandals. I actually bought them. what was the last thing you purchased on your credit card? Clothes from caters for my Step-brothers new daughter. A bill but it was a long time ago. I got this from http://notafertilemyrtle.blogspot.com/2009/10/friday-five_09.html anything to keep my blog a little more interesting! Loved your Friday Five! Have a great weekend!